As a patient safety risk analyst, one of the patient safety issues I have seen is Toxic Anterior Segment Syndrome (TASS). Though TASS is a rare complication of cataract surgery performed by an ophthalmologist, it is potentially devastating to the patient who have a poor outcome and even blindness. The bigger issue is that usually, TASS occurs in clusters/as an outbreak related to a specific surgical suite, meaning more than one patient treated in that surgical unit will be exposed & incur TASS. Toxic Anterior Segment Syndrome (TASS) is an acute, noninfectious inflammation of the anterior segment of the eye that is a complication of anterior segment eye surgery, most commonly seen in cataract extraction. It occurs when a foreign substance gets into the anterior chamber located between the lens and the cornea. Symptoms begin 12 to 48 hours after an otherwise successful surgery. 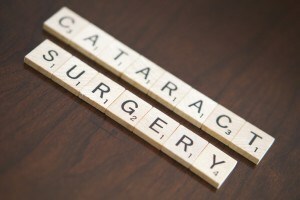 According to the American Society of Cataract and Refractory Surgery, “While investigating the recent TASS outbreaks we determined that the causes were varied, including issues with sterilization, enzymes and detergents, preservatives, intraocular anesthetics and ointments, among other factors. As of 2012 the Food and Drug Administration partnered with the Center for Disease Prevention & Control to develop better analysis for detection of contaminants in surgical suites and more aggressive surveillance of outbreaks geared to protect public health. Legal Nurse Consultants and physicians who specialize in Ophthalmology related surgery are best suited to screen these types of cases and understand that where one TASS claim occurs, more likely than not, other patients recently treated by this same doctor or other doctors in this clinic may also have TASS. Med League Legal Nurse Consultant provides ophthalmology expert witness and Ophthalmologist experts, call us today for your next case review! Rebekah Mead, MSN Ed., BSN, RN, FND, OHN, LNC is a Legal Nurse Consultant with Med League Legal Nurse Consultant.